Award & Achievement - WCJ International Ltd.
WCJ won Entrepreneur Awards 2017 offered by Capital Entrepreneur.. The award was given to those corporations who present outstanding performance on corporate management, strategic planning, governance and social responsibilities. Enterprise Asia (www.APEA.asia), being one of the most influential organisations in the region, presents the prestigious Asia Pacific Outstanding Entrepreneur Awards to recognise top business leaders who demonstrate the exceptional tenacity and perseverance to continue innovating and making a difference under adverse situations and environments. 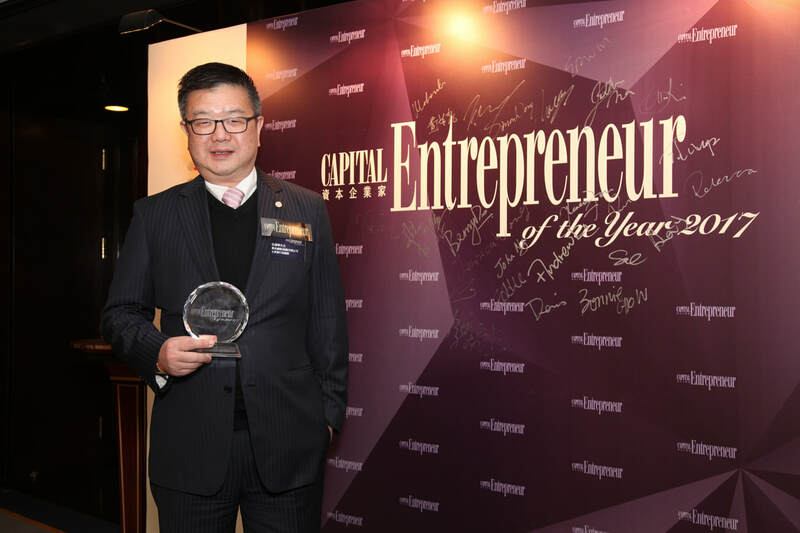 Mr. Benny Do, Chairman & CEO of WCJ had to be named an Asia Pacific Outstanding Entrepreneur of the Year. More than 20 years in the jewellery manufacturing industry, he has been committed to open up new market opportunities and expand sales network. Looking ahead, he will strive in developing long-term strategic partnership and establishing world-class jewellery brands amid intense global competition. CEO, Director of WCJ's group - Mr. Do Yuen-Ling, Benny won the honorable Young Industrialist Awards of Hong Kong 2008 by the Federation of Hong Kong Industries. The judging panel was impressed by Benny's achievements, commitment and contribution to Hong Kong and its industries. WCJ has been once again awarded from the Caring Company Scheme launched by the Hong Kong Council of Social Service to recognize the achievement in fulfilling the four criteria below of volunteering, giving, caring for the employees and the environment in the year of 2010-2011. WCJ group won the Hang Seng PRD Environmental Awards of One Factory - One Year - One Environmental Project (One-One-One) Program till 4 December 2012. Upon successful completion of specific environmental projects, WCJ is entitled to display the official of Green Medal Logo on company's stationery and all kinds of promotional materials. WCJ is entitled to use the label of the HK Awards for Environmental Excellence for the second year till 31 March 2012. It is under the final assessment of the Environmental Campaign Committee for the continual support of environment protection. WCJ won the Best SME's Award 2009 offered by The Hong Kong Chamber of Small And Medium Business Ltd. The award was given to those corporations who present outstanding performance on corporate management, strategic planning, governance and social responsibilities.